Access the latest in architectural design resources. The math is simple: complete more projects for more clients and your architecture firm grows. But how? More or smarter advertising? Become a networking champ? Dress for success? None of those things will hurt. But you didn’t work hard to become an architect to play at Mad Men or to waste time schmoozing and shopping. Luckily, doing high-quality work—fast and efficiently—makes you stand out. And Building Information Modeling (BIM) can help. Owners who experience BIM, love it. You can turn that to your advantage in the form of winning more work. 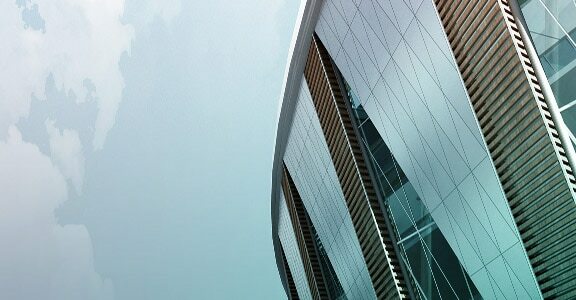 In fact, more than 93% of owners who use BIM on projects find that it improves the quality/function of the final design. Potential clients who have experienced BIM want to know you use it. And clients without BIM knowledge should be educated about how you’ll use intelligent models to deliver a higher-quality project and an enhanced design experience. It’s important to incorporate BIM into the way you market and sell your firm to clients in any BIM rollout plan. And if you’re already using BIM, take stock of whether you’re effectively highlighting the advantages when you talk to potential clients. 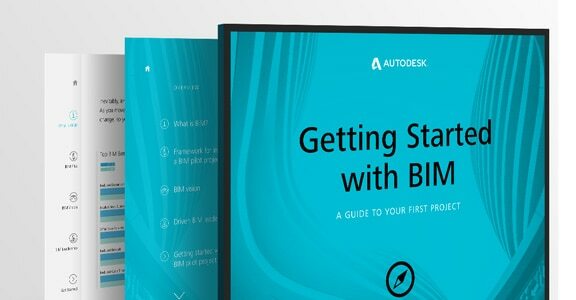 Let’s look how you can bring BIM into the way you pursue work and satisfy clients. What’s one of the first things that people notice about the BIM process? It’s 3D. Now, when you get deeper into the way BIM impacts projects, you’ll realize that the intelligence of models can make an even bigger contribution than the visualization aspects. 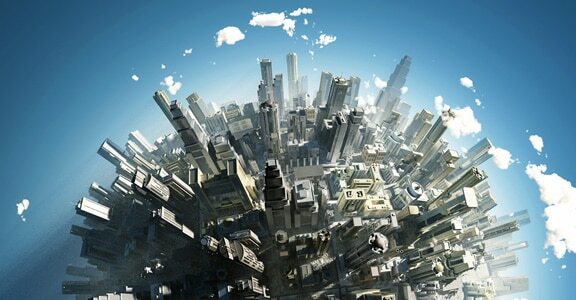 But don’t discount the “wow” factor of 3D models and photorealistic visualizations. Consider your current marketing. Are you relying almost exclusively on photographs of completed projects? Photos don’t tell the whole story. Plan to include stunning 3D models in all of your marketing efforts, including your firm website and social media posts. When meeting with prospective clients, include 3D visualizations in your presentation materials. And walk clients through how you use BIM to communicate design intent more clearly and to make it easy for them to contribute ideas. Clients will like the fact that they’ll be able to review models instead of 2D drawings or sketches when they work with you. That’s especially true of clients with zero experience reviewing 2D drawings. Show clients 3D fly-throughs of projects, and explain how you can help them experience their building before it’s built. Be sure to note that BIM improves more than just the way in which clients participate on projects. It improves quality on aspects of projects that clients may not directly experience—but that do influence costs. The intelligence of BIM models enables multidisciplinary teams to find and address clashes more readily than do 2D tools. A model-based process also speeds and enhances collaboration with engineers and contractors. This can result in far fewer RFIs and delays in the field. Nearly half of users report that BIM helps them to retain clients. The value of returning customers can’t be overstated. The Gartner Group estimates that 80% of a company’s future revenue will come from just 20% of existing customers. Clients who experience the advantages of BIM when working with you will come to associate the benefits with your firm. When they need an architect on a new project, they’ll knock on your door again. As you shift to BIM, you can reach out to former clients likely to need your services in the future. Tell them that your firm is now working with clients using intelligent 3D models. Explain how those models make it easier for the entire project team to work faster, stay on budget, and avoid errors. As you explore whether the time is right to move to BIM, you’ll encounter many reasons to use BIM. Fewer clashes. Better collaboration. Built-in support for energy analysis. Time savings. Greater efficiency. A myriad of compelling benefits come from designing through the use of intelligent, 3D models. Consider that list for a moment. Virtually all of the ways BIM improves projects translate directly into value for owners. Use the ideas above to make sure they know that—and choose you to deliver. 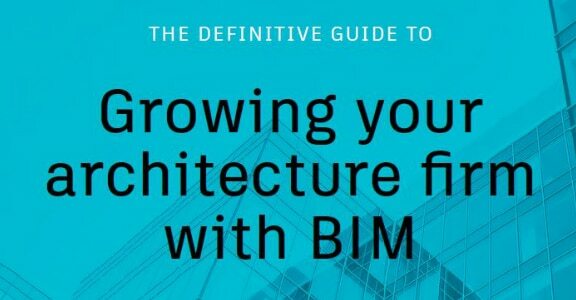 Learn more about trends in BIM use by downloading the e-book The Definitive Guide to Growing Your Architecture Firm with BIM. It’s full of facts and figures from industry surveys that show why architecture firms like yours have embraced BIM as a path to growth. The numbers in the e-book reveal the percent of firms using BIM, and help quantify the ways in which BIM has impacted their businesses. Architecture firms looking to adopt BIM may have concerns about implementation process. These are 10 steps that help to both accelerate the process and reduce the disruption that can accompany change. You already know that using BIM in architecture practice will help your team work faster and more efficiently, and output higher quality work in less time, but did you know you can use it to bring in more work to your architecture firm?